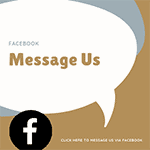 Our Wood | Bartok design Co. Our Wood – Bartok design Co. 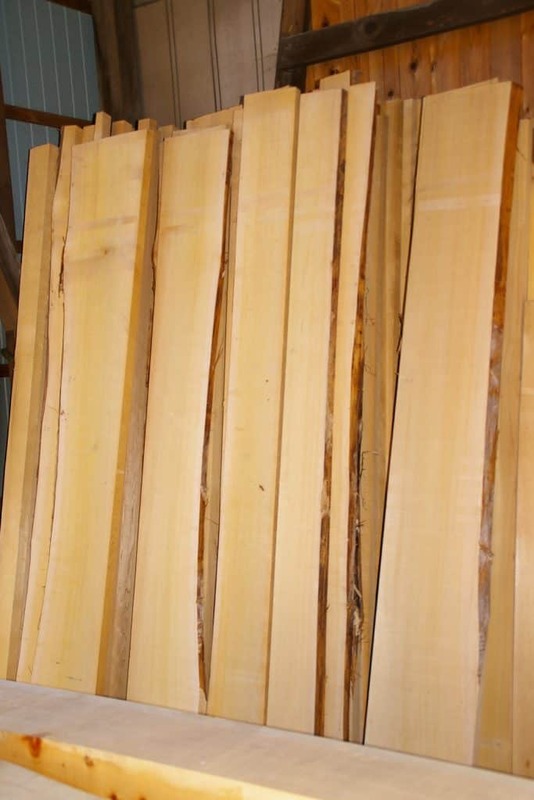 In this series of posts I will share some information about the different trees and woods used in manufacturing our beautiful ofuro bathtubs. This photo was taken in the Hokkaido University Botanical Gardens. It’s hinoki, the king of forest in Japan. Why the king of forest? In feudal times in ancient Japan, five beautiful and majestic trees were planted and selected as the most valuable. 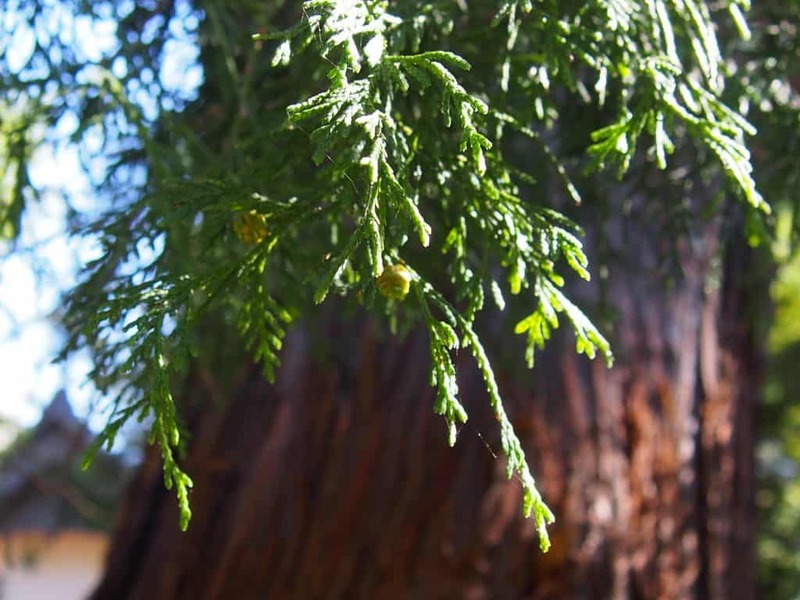 Known as the “Five Trees of Kiso,” they are Chamaecyparis obtusa, Chamaecyparis pisifera, Sciadopitys verticillata, Thuja standishii, Thujopsis dolabrata. As hinoki trees suffer in polluted environments, they grow mainly in areas where the air and water are pure. Aomori and Ishikawa in the north, Gifu Prefecture, the Kiso Valley in the Chubu district and Kochi Prefecture in Shikoku are the regions with the largest hinoki forests. This “purity” is reflected in the wood’s appearance: it is light-colored and has a compact straight grain. A natural clear resin permeates the pores homogeneously thus creating natural protection against insects and rot. 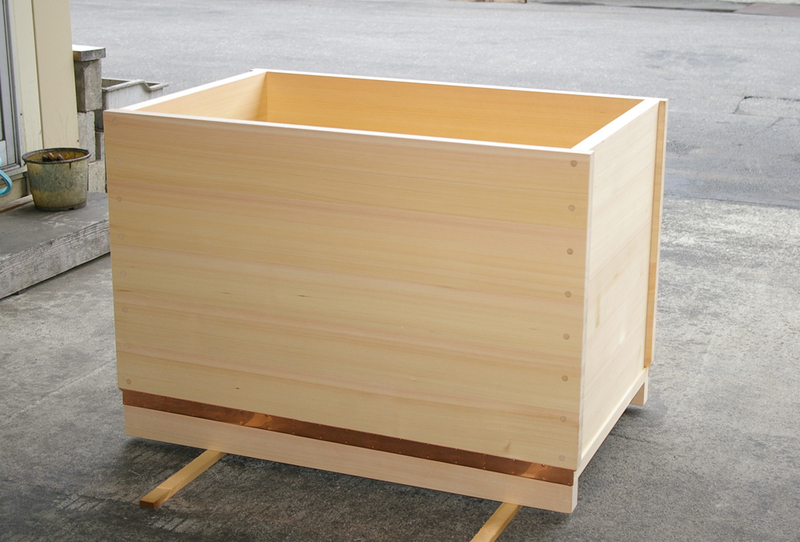 When cut or scrubbed, hinoki wood emanates a pleasing lemon scent for which it is famous. 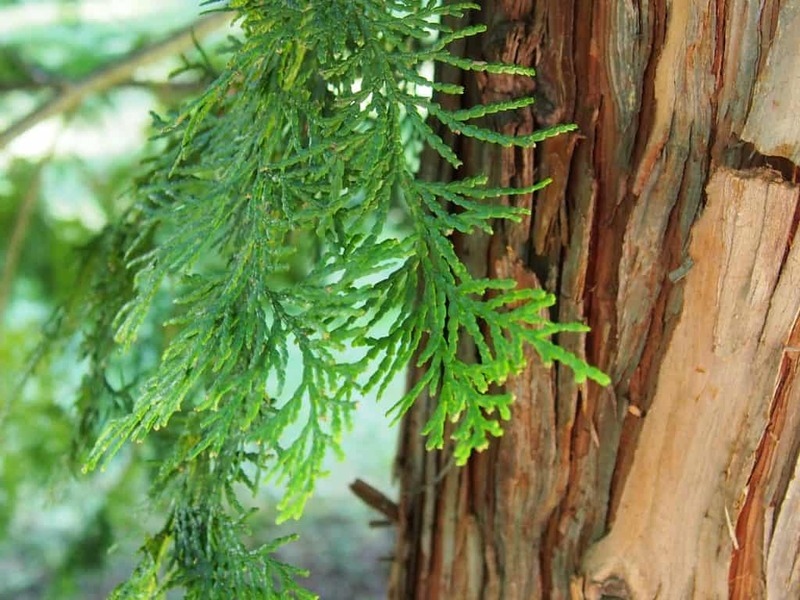 The hinoki, Japanese cypress (Chamaecyparis obtusa) trees native to the Kiso Valley have been renowned for centuries. Kiso’s timber resources were highly prized by Toyotomi Hideyoshi* himself, who made the Kiso Valley a fief under his direct control and used timber from its Japanese cypresses and other trees when constructing castles**. *Toyotomi Hideyoshi was a Japanese Leader in the 16th century. **Osaka Castle was one such castle, constructed from hinoki, although the current structure is a concrete & steel replica replacing the original which was destroyed by fire. As castle towns prospered during the Edo period, from the 17th century, a great many trees were cut down on Kiso’s hillsides. Kiso’s mountains were left so desolate as a result that, fearing for the few remaining trees, the rulers of the Owari Domain issued a harsh proclamation: “one tree, one head.” The threat of capital punishment meant that Kiso’s trees began to be protected. As a result, the Kiso Valley once more boasts dense natural forests on its rejuvenated hillsides. From the latter part of the 19th century, the majority of Kiso’s mountains were covered in “Goryorin” forests that were the property of the Imperial Family. After WWII, the area began to be managed as National Forests. In 1970, parts of the Kiso Valley forests were designated as Recreation Forests. Akasawa Forest, the first Recreation Forest, is the birthplace of “shinrin-yoku” or forest bathing. Current Situation: Sustainable Wood Product? Our hinoki wood is sourced from Kiso Valley, Nagano. We use wood from mature trees, between 250 – 300 years old. In Kiso Valley, a sustainability plan is in place to authorize tree felling. A healthy forest is managed to give each tree optimum chances of growing strong. Trees that would die naturally are selected first for cutting. The forests of Japan play an important role in the natural ecosystem by setting down deep roots, preventing landslides and soil erosion. The forests are also a natural habitat for many species of animals, birds and insects. And of course, forests purify our air by absorbing carbon dioxide and help reduce greenhouse gas emissions. At the same time, the forest is a source of income for the local rural areas and provides employment for those involved in forest management and manufacture of wood products and construction. Wood is a renewable resource. It can be grown and managed sustainably. We believe that with careful consideration for the current and future generations, these can co-exist favourably. Easily the most beautiful wood in the world, the wood of the hinoki tree is smooth, very light but very strong. The grain is very straight and it is a delicate soft pale wood color, sometimes ever so slightly pink-tinged. The scent is woodsy but often described as lemony. It is a very grounding scent. When hot water is poured onto hinoki (or when you fill your hinoki bath) the scent will intensify. 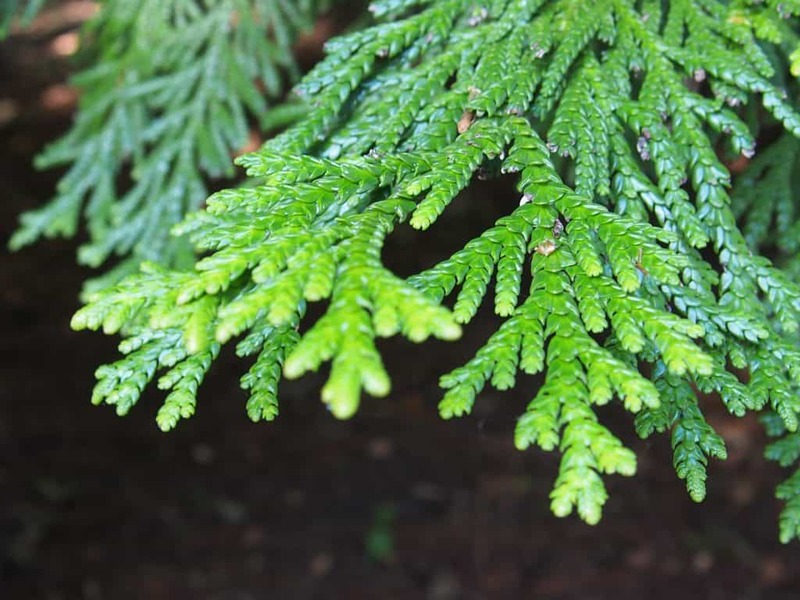 The scent of hinoki essential oil is calming and relaxing. It may help with respiration problems and act as a decongestant. Hinoki means literally “tree of fire” as it was used to spark a fire in ancient times, thanks to its dry nature. As hinoki has an excellent dimensional stability and durability, it has always been the first choice when it comes to the bearing structure of a house. Still today hinoki is widely used in construction, especially for the parts which are connected with the “life and soul” of the building: columns and foundations. The grain is very compact and prevents the penetration of insects. 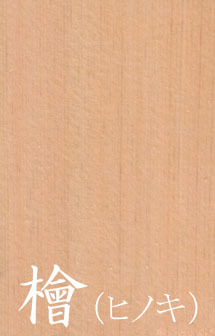 The wood from the Kiso Valley hinoki is especially water and rot-resistant making it highly suitable for use in baths. I was really excited to find these labeled specimens in the Hokkaido University Botanical Gardens. Only one problem, I’m having trouble distinguishing them, now that I am back at the office. I think this one pictured above is asunaro/asnaro (Thujopsis dolabrata). I really love the scaly configuration of these leaves. The asunaro is also called hiba. It’s an evergreen tree in the cypress family. This particular specimen was found in Hokkaido so it’s a rarer variation, the Thujopsis dolabrata var. hondai. Nevertheless this tree grows quite readily across the four islands of Japan in the Thujopsis dolabrata var. dolabrata variety. According to the The International Union for Conservation of Nature’s Red List of Threatened Species this species is stable. It gets an LC (least concern) rating as it is planted in state-controlled forests where it grows well. Read more about hiba-arbor-vitae here on the IUCN Red List. Hiba Arbor-vitae is an important forest tree in Japan and is one of the ‘five trees of Kiso’ (all are conifers) originally reserved for imperial use. There are now managed state forests with this species as the dominant tree besides some imperial forests. Its light, soft, resinless and durable wood is used in construction, for bridges, buildings, furniture, the wooden basis of lacquer work, wood carving, etc. As far as ofuro go we recommend asnaro more often than any other wood because of the cost advantage and the durability of this wood. It is harder to damage than say hinoki or sawara. We think you will love it too.